Ride-hailing app Uber has introduced a 15p ‘clean air’ surcharge to journeys in London. The company first announced the plans in October as part of their Clean Air Plan, with ‘every penny’ going to its drivers as an incentive to switch to cleaner vehicles. The new charges came into effect on Wednesday (January 16). According to Uber, the surcharge means that drivers using the app for around 40 hours per week could expect around £3,000 of support towards an EV in two years’ time and £4,500 in three years. 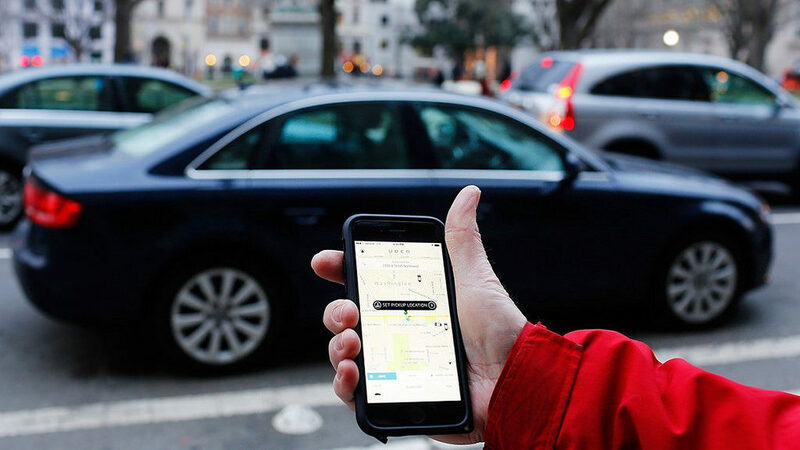 The Uber app is used by an estimated 3.5 million people every year for journeys across the capital, with around 50,000 drivers registered upon the platform. Uber has also pledged to work with charging point providers including BP ChargeMaster, EO Charging, EVBox, Franklin Energy, NewMotion, Pod Point and Swarco EVolt to assist drivers in installing home charging points to plug in their vehicles. Another element of Uber’s Clean Air Plan is a diesel scrappage scheme aimed at removing 1,000 of the most polluting cars from London’s roads which will also launch this year. The first 1,000 people in London to scrap a pre-Euro 4 diesel vehicle and provide an official scrappage certificate will receive up to £1,500 of credit to spend on Uber or uberPOOL rides. In December Uber commissioned a report that said a widespread take-up of shared e-bikes in London could reduce CO2 emissions by 184 tonnes a day. The tech giant recently acquired bike sharing app JUMP. Speaking in October, Dara Khosrowshahi, CEO of Uber, said: ‘The Mayor of London has set out a bold vision to tackle air pollution in the capital and we’re determined to do everything we can to back it. ‘Our £200m Clean Air Plan is a long-term investment in the future of London aimed at going all electric in the capital in 2025.